Laos Tours offer incredible opportunities to travel through an undiscovered land gently rising from decades of isolation, sustained by the mighty, meandering Mekong. The haunting river from Francis Ford Coppola’s Apocalypse Now, is the stuff of myth and legend. For centuries, the Mae Nam Khong (mae nam meaning ‘Mother of Water’) or Mekong, as it is known to the world today, has been key to the survival of the countries it flows through. We’ve curated some of the most unique experiences for your journey of a lifetime in Laos. To this day, these civilizations look to the river for sustenance and life, be it the small fishing communities that line the picturesque shores, or the international governments, who seek to harvest hydroelectricity through gigantic dams. The Mekong Basin is considered one of the most biodiverse in the world, and new species are constantly being discovered! Home to the largest share of the river, in landlocked Laos, the Mekong is everything. Farmers, fisherfolk and city dwellers alike have always depended on the bounteous river, at once united and divided by the sometimes benevolent, sometimes un-navigable body of water. Communication, transportation and sustenance are still severely dependent on the river, which has shaped the lives and livelihoods of generations. 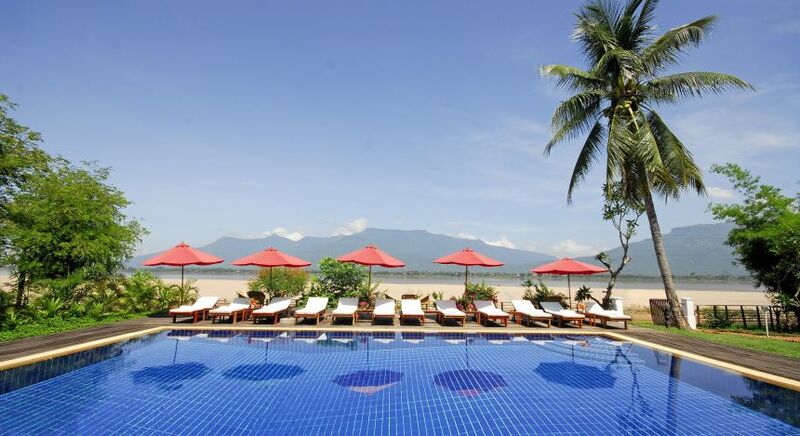 Undoubtedly the best way to unravel untouched Laos is by traversing the path led by the ‘Sea of Laos’. Chart your course from the sleepy North to the colonial capital and the warm South along the Mighty Mekong, and discover the unique, hidden gems of Laos. 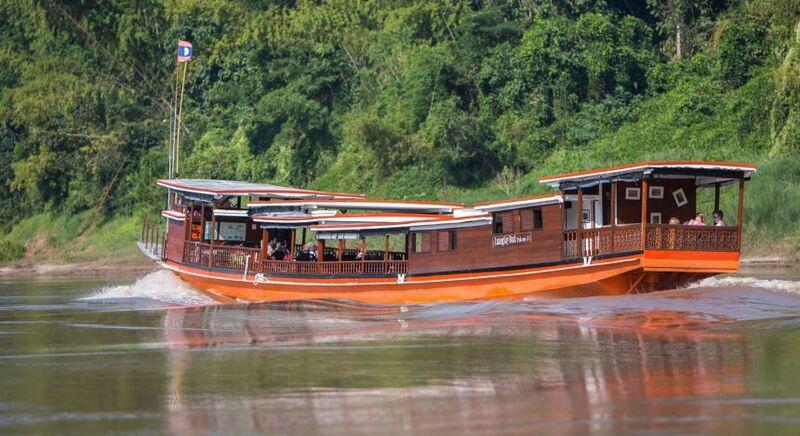 Discover the essence of Laos with a relaxing cruise up or down the mighty Mekong River! 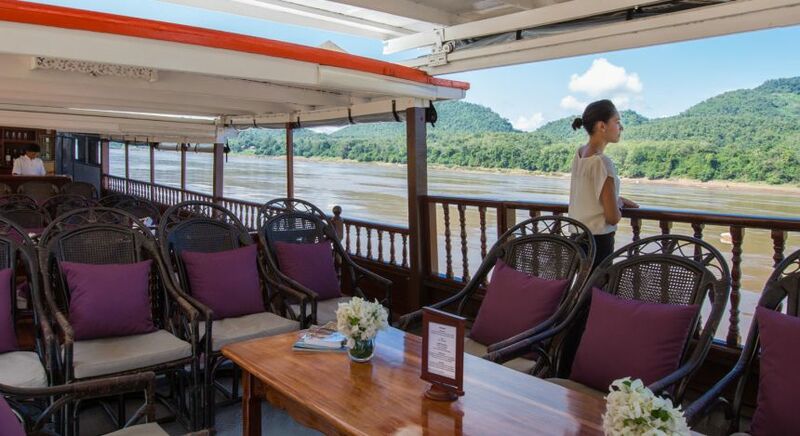 True tranquility awaits you aboard this charming cruise, which begins at the Laotian border with Thailand, and concludes at the erstwhile royal and French colonial capital city of Luang Prabang. Sail past towering granite cliffs and pristine sandy shores towards quaint villages where time seems to have stopped still. Built in authentic style, Luang Say Lodge is ensconced by tall mountains and dense jungles and is an ideal rest stop for the night. 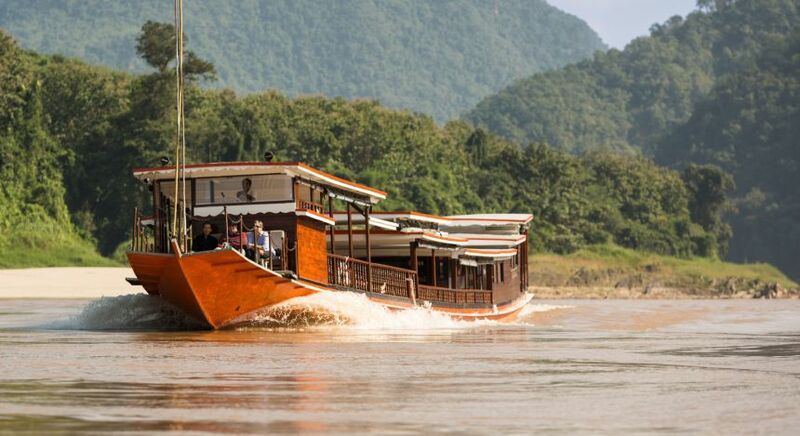 There is much to discover on this cruise – from the traditional way of making Laotian whiskey to delicious local cuisine. You can also witness the revered pilgrimage spot at the Caves of the Thousand Buddhas, and understand Laos traditions. 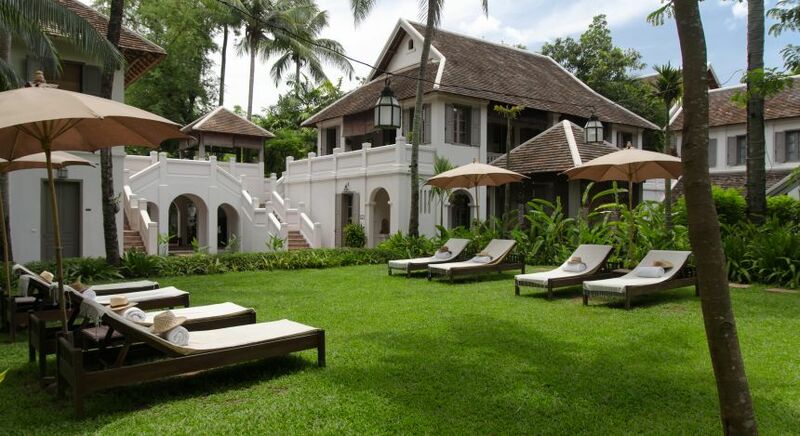 Amble away from the Old Town in Luang Prabang to arrive at the beautifully refurbished childhood home of Prince Souphanouvong. 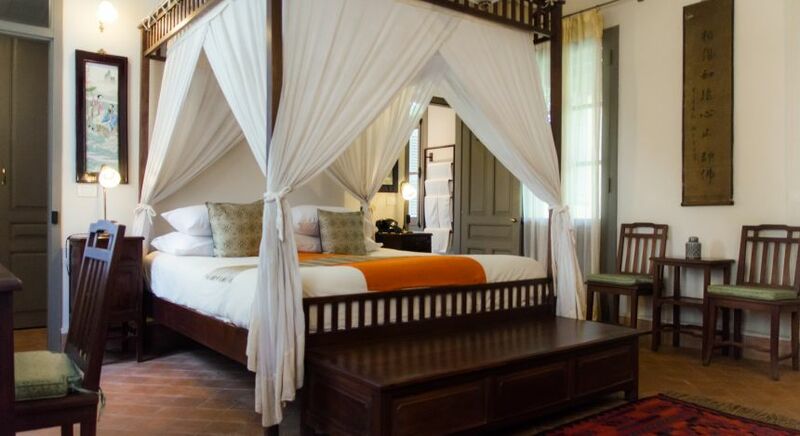 A fitting tribute to bygone eras and Luang Prabang’s rich and diverse history, Satri House oozes a French colonial charm that is uniquely Laotian. 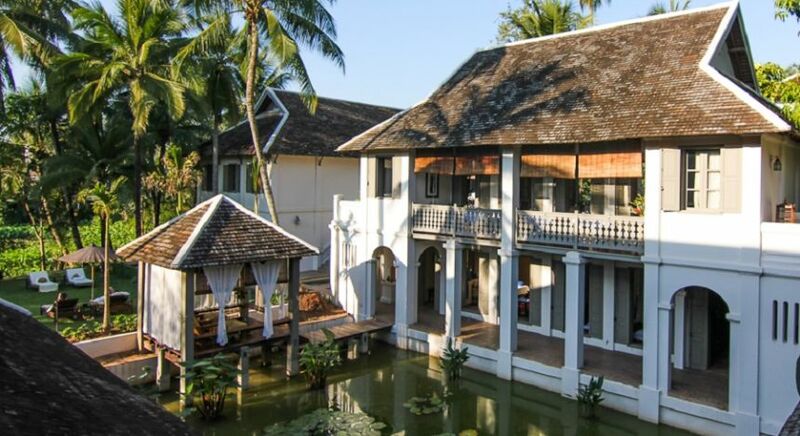 Grand terracotta floors, fine silken drapes, giant canopy beds and authentic décor go hand in hand with charmingly landscaped gardens, sparkling swimming pools and a designer library. Cozy peaceful nooks around every corner beg to be explored, while delicious Laotian-Thai aromas draw you to the hotel’s al fresco restaurant. Cocooned in a quiet oasis of bliss, this is the ideal retreat to relax, or watch the daily bustle of local life from your balcony. Welcome to the warm South of Laos! 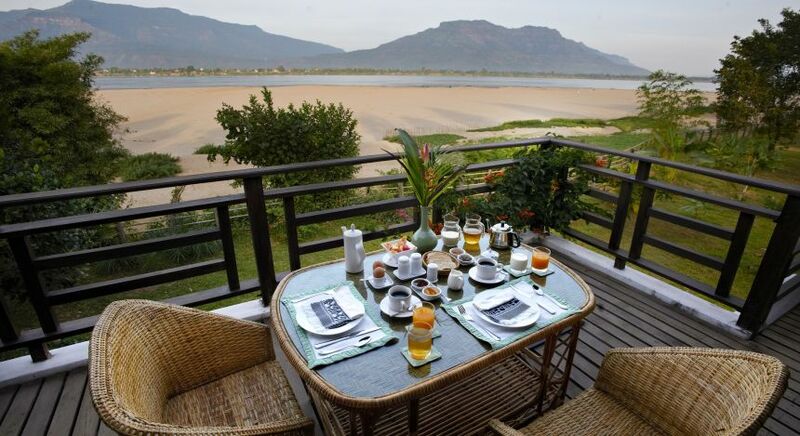 Nestled by the sandy shores of the Mekong on the quaint, vehicle-free island of Don Daeng lies La Folie Lodge. 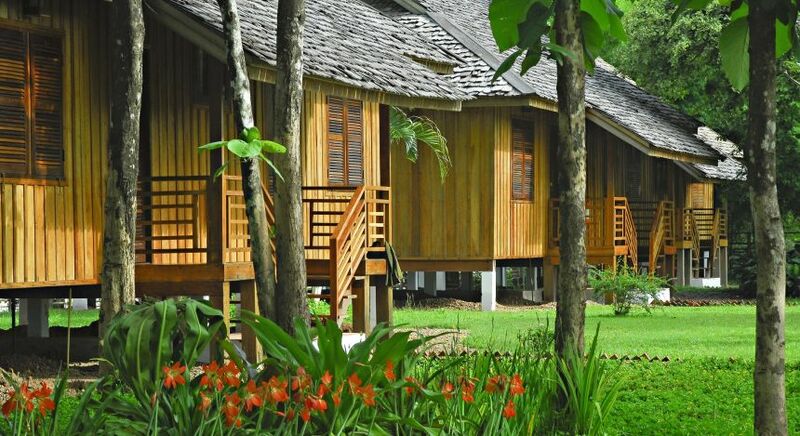 Picturesque views, unspoiled natural beauty and unique Laotian charm await you around every corner of this wonderfully tranquil lodge. La Folie Lodge offers incredible views of Wat Phou – a stunning UNESCO World Heritage site that is lined by beautiful frangipani trees. Time flies as you watch buffalos laze in the river from your verandah, and cheery locals beam as they pass by. The tropical garden is a bird lover’s delight, while the sparkling pool offers welcome relief in the warmer months. Nearby the scenic mountains and gushing waterfalls of Bolaven Plateau, surrounded by thousands of tiny islets, beckon with promises of delightful picnics and magnificent sundowners. Discover unique hidden gems on your private, tailor-made tour of Laos.